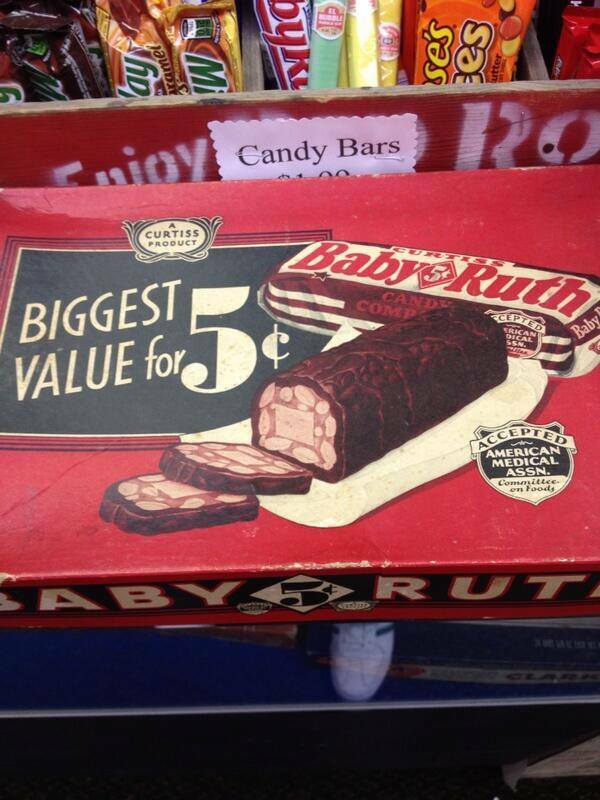 This past weekend, Dietitians For Professional Integrity co-founder and strategic director Andy Bellatti came across this box of Baby Ruth chocolates at an antique store in Boulder City, Nevada. Though a date could not be located on the box, one can estimate it is likely from the 1950s or 1960s. The lower right-hand side of the package bears an “Accepted by the American Medical Association” stamp of ‘approval’. Andy and the shopkeeper had a brief conversation about the absurdity of said stamp. Truly, the notion of an organization of doctors condoning a candy bar is comical by today’s standards. And, yet, it seems the Academy of Nutrition and Dietetics has no problem doing the same thing in 2013. Whether it’s allowing the National Confectioners Association (AKA “the candy lobby”) to have a booth at its expo or partnering with the likes of Hershey’s, McDonald’s, General Mills, and PepsiCo, the Academy is essentially giving its nutritional “stamp of approval” to unhealthy products that are already consumed in excess. One argument in favor of these partnerships goes like this: “Well, everyone eats/drinks a little bit of (insert unhealthy food here), so what’s the harm?”. The harm is that when a national nutrition organization actively (or passively) gives its seal of approval to companies that make sugar-laden, hyperprocessed, minimally nutritious foods, the American public gets the short end of the stick. Our hope is that by speaking up and advocating for professional integrity, there will come a day where the Academy’s partnerships with Big Food will seem just as mind-boggling as the American Medical Association placing its stamp of approval on a box of candy bars.